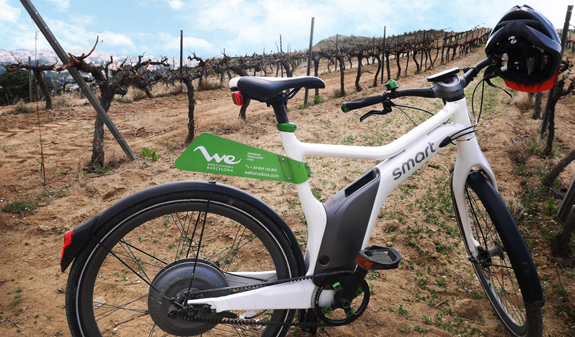 You'll enjoy a luxury wine experience in the heart of nature on this e-bike itinerary while you discover the spectacular landscape of the Mediterranean coast. 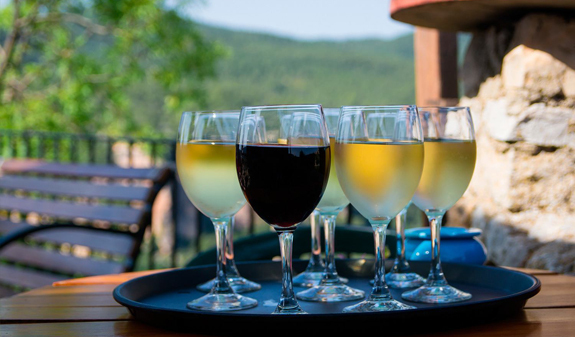 Includes a guided wine tasting. 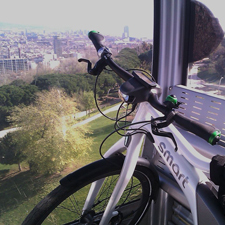 Have you ever ridden an e-bike?. It's the perfect means of transport to explore open-air trails in an active and original way as it allows you to see a lot with little effort. This guided tour along Barcelona's coastline will give you the opportunity to see pine forests, vineyards, beaches and, of course, the Mediterranean sea as never before. After an hour and a half touring on your e-bike, you'll come to the Alta Alella estate in the Serralada de Marina Natural Park, an ancient stretch of land that is still very much alive. 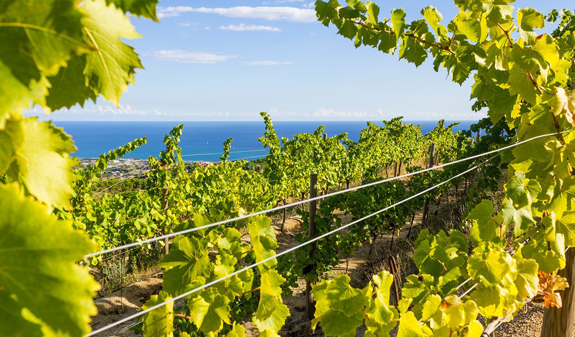 You'll visit the magnificent vineyards by the sea and a winery that produces top-quality ecological wines. 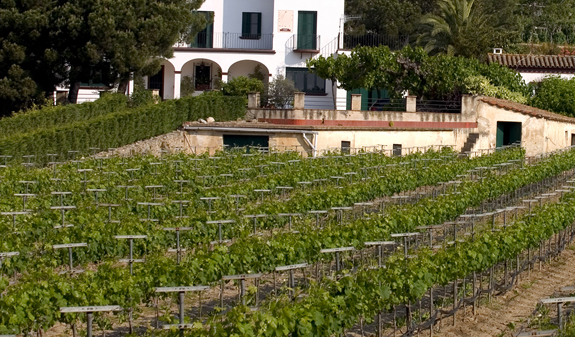 Many of the wines from the Alta Alella can be found on the menus of the world's top restaurants. You find out how exceptional they are when you taste three of the finest in this unique wine-producing setting presented by a wine expert. 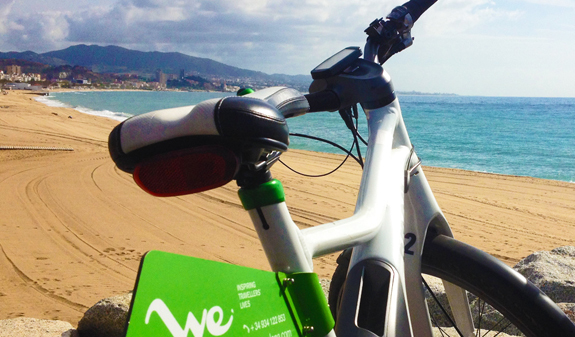 Guided e-bike tour of the beaches to the north of Barcelona (Mercedes Benz Smart model) (90 minutes walk). Professional guide throughout the journey. Guided tour of the Alta Alella vineyards and winery. Guided tasting of six wines. Times: from 24th March to 31st October; Tuesday, Thursday, Friday and Saturday; at 8.30am. Language: English, Spanish, French and German. Length of tour: 5 hours. 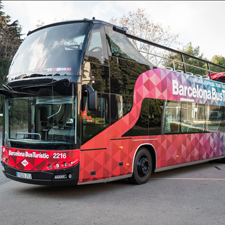 Meeting point: We Barcelona Experience shop (near Barcelona Cathedral) c/ Montjuïc del Bisbe, 3-5. 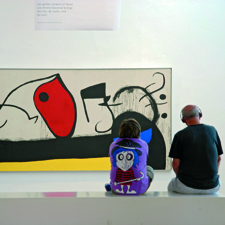 Metro: L3, Liceu; L4, Jaume I stop. Bus: 14, 17, 19, 40, 45 and 59. Small groups of 2 to 16 people.